What distinguishes novels and short stories that are literary from those that are not? The issue has come into focus in the psychology of fiction with David Kidd and Emanuele Castano’s (2013) finding that reading stories that were literary was more likely to prompt an improvement of empathy and theory-of-mind than reading stories that achieved high popularity on Amazon. In his book on literariness, David Miall (2006) proposed that one factor is that literary writers use styles such as foregrounding, which attract attention and prompt reflection. In S/Z Roland Barthes (1975) distinguished writerly reading from readerly reading. In writerly reading a person takes on a role like that of a writer, in creating the story that he or she experiences. In contrast, he says, readerly reading is a “kind of idleness” (p. 4). Another possibility is that literary works enable people to think and reflect on characters. This view was put by Frank Hakemulder (2000) in The moral laboratory. He said that: "The complexity of literary characters helps readers to have more sophisticated ideas about others’ emotions and motives than stereotyped characters in popular fiction” (p. 15). Although it has often been thought that literature has a function to instruct, with Shelley’s (1819) idea that “poets are the unacknowledged legislators of the world” being an example, this may not be right. It is possible that the central quality of the literary is that it enables readers to feel and think for themselves (Djikic & Oatley, 2014). 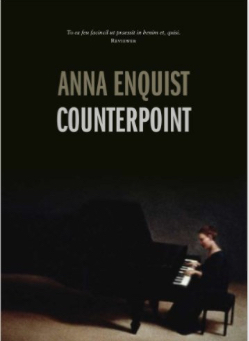 Emy Koopman (2016) compared three different versions of a chapter from Anna Enquist’s literary novel, Counterpoint, about loss of a child. The original version contained a high level of semantic, phonetic, and grammatical foregrounding. In a second version, foregrounding that depended on imagery was removed: a version without imagery. In a third version all foregrounding was removed: a version without foregrounding. People assigned to read the original version scored higher on self-reported empathy than those who read the version without foregrounding. Koopman also found that people who read the original text experienced more ambivalent emotions such as “a sad beauty” or a “grey joy,” than those who read the version without foregrounding. Might this have indicated that as well as having their own feelings of empathy for others, readers of the original story were feeling for themselves in a writerly way? Readers of the original version were not however found to be more reflective than those who read other versions. What might be done, one may wonder, to see how literary stories may invite us not just to feel empathetically and ambivalently, but also to think reflectively, for ourselves? Barthes, R. (1975). S / Z (R. Miller, Trans.). London: Cape. Djikic, M., & Oatley, K. (2014). The art in fiction: From indirect communication to changes of the self. Psychology of Aesthetics, Creativity, and the Arts, 8, 498-505. Hakemulder, F. (2000). The moral laboratory: Experiments examining the effects of reading literature on social perception and moral self-concept. Amsterdam: Benjamins. Koopman, E. M. E. (2016). Effects of "literariness" on emotions and on empathy and reflection after reading. Psychology of Aesthetics, Creativity, and the Arts, 10, 82-98. Miall, D. S. (2006). Literary reading: Empirical and theoretical studies. New York: Peter Lang. Shelley, P. B. (1819). A defence of poetry. In C. Norman (Ed. ), Poets on poetry (pp. 180-211). New York: Free Press.